There are 1 cat videos tagged with swiss-shepherd. A tiny kitten has a very large friend to play with in this video. While this dog may look like a wolf, it's actually a Berger Blanc Suisse (Swiss Shepherd). 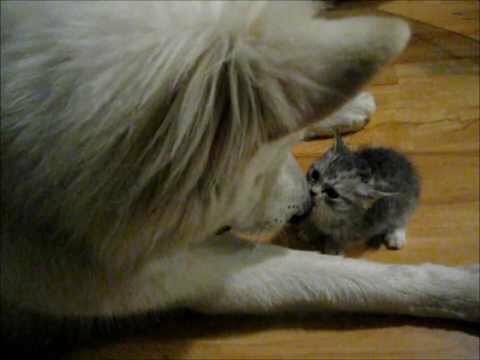 The kitten's head fits very easily into the dog's mouth, but the gentle giant just wants to play.